As the school year begins anew, a bright new crop of young ones will pass through the school doors to acquire new knowledge. Attempting to quell their natural instincts to bash each other on the head is one of the first orders of business. To this end, teachers and librarians and principals will be reading to them. 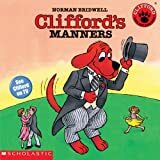 Clifford the Big Red Dog tries in Clifford's Manners by Norman Bridwell. 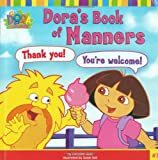 Dora the Explorer takes a swing at it in Dora's Book of Manners by Christine Ricci and Susan Hall. 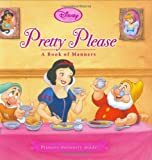 Disney steps up with a double header of Winnie the Pooh in Winnie the Pooh's - Book of Manners by Judy Delton and Disney Princess: Pretty Please: A Book of Manners by It-doesn't-really-matter. When I opened Marc Brown's D.W.'s Guide to Perfect Manners, 2006, I was expecting the same ole' same ole' and the book does cover familiar ground as D.W. strives to be perfect at home and at school following a dare from her brother, Arthur. The familiarity of the Arthur franchise "helps the medicine go down" but there are some fun bits too, especially coming from D.W.
"I pick up my toys to make my room perfect. I can even make my own bed. You can too. It's no big deal--and, besides, it freaks out your parents...in a good way!" "Perfect people say "I'm sorry"if they mess up or if they hurt someone. They don't say mean words like "shut-up," "poopy" or"doo-doo head," even when bad things happen." We all know the word "UNDERWEAR" is the funniest work in the English language to an elementary age kid but "poopy" is right up there too. There is a "Are you perfect yet?" test to round out the book. The lowest score rates a "you need a lot of work. Please read my book again." Without a doubt the most sublime of all manners books are the classic What Do You Say, Dear? and What Do you Do, Dear? by Sesyle Joslin with sly and witty illustrations by Maurice Sendak. No matter how improbable or bizarre the circumstances, good manners should always prevail. Mo Willems's Time to Say Please! should be mentioned in the same breath as the Joslin books. Willems is pure gold. "The two biggest questions to ask ourselves in life, at any age, are: Are most of the people I know glad that I am here? Am I glad that I am here, myself? Anyone who can honestly answer 'YES' to those two questions most of the time has learned to BEHAVE in this world and to live a happy life." Good advice. Plus, stick figures! Wow, I think that could be a theme for a behavior plan in school (and everywhere else.) I love that! I will have to look for this book. I still love Richard Scarry's Please and Thank You Book. Don't forget the Mrs. Piggle-Wiggle books by Patricia MacDonald! 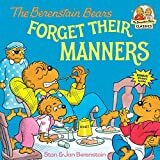 Excellent round-up of manners books! I'm definitely getting the DW one for my daughter and those Joslin books look hilarious! Munro Leaf also has "Manners Can Be Fun" -- more stick figures!